-Gabrielle Nomura Gainor, a media relations manager, professional dancer, and practitioner of Jodo Shinshu Buddhism from Seattle, Washington. Photo by Tsuki Nomura-Henley. Chenxing Han examines the stereotypes that have marginalized Asian American Buddhists and reports on the rich diversity and depth of practice of a new generation of practitioners. During my undergraduate years, a budding interest in Buddhism prompted me to explore various Buddhist communities in the San Francisco Bay Area. At meditation centers where older white practitioners predominated, I regularly fielded compliments about my ability to speak the language I consider to be my native tongue: “Your English is so good; I can’t detect any accent at all!” I was further stymied by the frequent follow-up question, “Where are you from?” Having lived five years in my birthplace of Shanghai, six years in Pennsylvania, and seven in Washington State, then moved to the Bay Area for college after a gap year in Australia and Asia, I struggled for a succinct answer. “I went to high school near Seattle” only triggered further questioning. Where was I really from? Cambodia? China? Japan? Korea? Thailand? Tibet? This was hardly the first time white Americans expected me to be a recent immigrant from Asia who spoke “accented” English, though another expectation was new to me: “Your parents must be Buddhist.” To the contrary: raised by atheist parents who lived through the tumultuous Cultural Revolution, I grew up associating religion with brainwashing cults. My Bay Area explorations also took me to Buddhist temples where the membership was primarily Asian, places where I spent much of the time listening to Mandarin and trying to decipher the Cantonese, Khmer, or Vietnamese around me. Here, nobody complimented my English, probably because many of them had children who spoke English as fluently as I did. Yet I rarely saw anyone between preschool and middle age at the temple services. I began to wonder, Where are all the other young adult Asian American Buddhists? Perusing popular and academic literature about American Buddhism, it became clear that I wasn’t the only person who had run into this problem. In a 2008 post on the group blog Dharma Folk, one of the writers remarked: “I don’t want to sound like the Angry Asian Man, but I’ve had a hard time finding articles about Asian American Buddhists.” In 2009 this writer founded Angry Asian Buddhist, a blog examining race, culture, and privilege in American Buddhism. Buddhist Asian Americans are often surprised to encounter so many stereotypes about us. Worse yet is that these stereotypes are routinely cited as solid facts. The stereotypes are generally about how different we are from “American Buddhists.” These might sound familiar: We Buddhist Asian Americans are basically immigrants. We cannot speak English and carry a more supernatural bent. We focus our energies into holidays and spiritual beliefs instead of meditative practices… Some of us are Oriental monks who bring our exotic teachings to the West. The temples we attend aren’t about spreading the Dharma—they’re just ethnic social clubs. I could go on. These stereotypes are bolstered by the oft-cited “two Buddhisms” typology that distinguishes between convert, white, middle-class Western Buddhists and their non-convert, Asian, immigrant “ethnic” Buddhist counterparts. There is no room for white “cradle” Buddhists born into the religion or for Asian American converts in a schema that insists on strict separation between two seemingly distinct and mutually isolated brands of Buddhism. Though presented as a value-neutral sociological description, the “two Buddhisms” model is too often used to valorize white Buddhists while denigrating Asian American Buddhists. In 1991, the editor of Tricycle magazine wrote that Asian American Buddhists “have not figured prominently in the development of something called American Buddhism,” implying that they are merely Buddhists in America rather than true American Buddhists. A decade later, a scholar of American Buddhism similarly disregarded Asian American Buddhists by insisting “A religion that attracts so many high-status professionals is harder to dismiss than a faith of the poor and minorities.” A 2013 encyclopedia entry on “Buddhism in Asian America” contrasts “nominal cultural Buddhists” with “awakened convert Buddhists,” implying that it is white meditators who are spearheading the “enlightened” American Buddhism of the twenty-first century. I could go on. These examples underscore the racist, exclusionist logic that relegates Asian Americans to perpetual foreigners within American Buddhism. The notion that Asian American Buddhists are “ethnic” Buddhists who need to shed their cultural baggage conveniently exempts white Buddhists from an examination of their own ethnic identities and “cultural baggage.” In his book Race and Religion in American Buddhism, Joseph Cheah asks “modernist Buddhists of the West” to “honestly acknowledge the Orientalized Buddhist baggage they have been carrying for the short time they have been around”—an exhortation that seems to have largely fallen on deaf ears. I was seeking an alternative to the Tale of Two Separate (and, apparently, not quite equal) Buddhisms that I kept encountering, since I couldn’t place myself in either category. 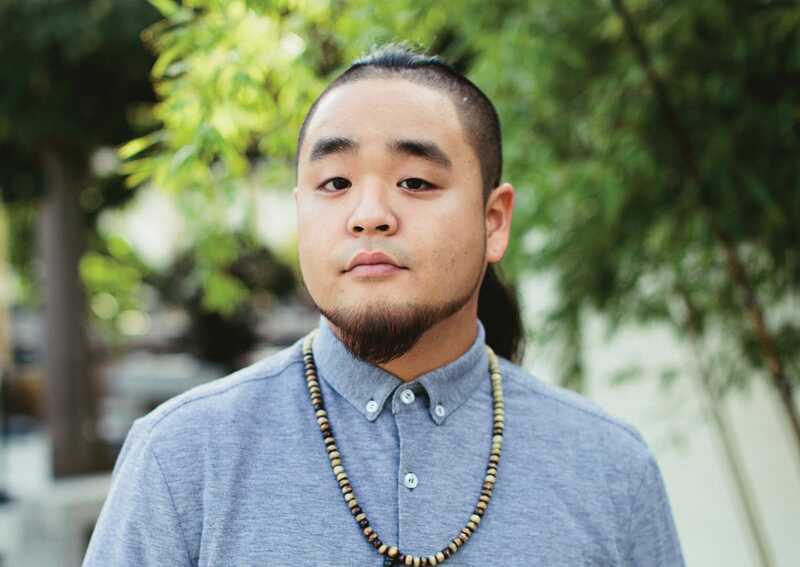 -George Yamazawa, a poet, emcee, teaching artist, and member of Soka Gakkai International, from Durham, North Carolina. The more I encountered depictions of the docile Oriental monk, the more I read about Asian immigrant Buddhists whose chanting and devotional practices were deemed too superstitious for today’s rational Western meditator par excellence, the more I saw the “two Buddhisms” model slip from sociological description to racial disparagement, the more I wanted to ask, Will the real Asian American Buddhists please stand up? Nigerian author Chimamanda Adichie warns us that “the single story creates stereotypes, and the problem with stereotypes is not that they are untrue but that they are incomplete. They make one story become the only story.” I was seeking an alternative to the Tale of Two Separate (and, apparently, not quite equal) Buddhisms that I kept encountering, since I couldn’t place myself in either category. Nor was I content to be an American convert Buddhist who just happens to be Asian—a yellow-on-the-outside-white-on-the-inside “Banana Buddhist,” to borrow a provocative phrase from the Angry Asian Buddhist. If you choose to think of us as Superstitious Immigrants, you will never accept us as real Americans. If you choose to think of us as Banana Buddhists, you then trivialize the value of our heritage. The best way to uproot these stereotypes is first to stop perpetuating them, to encourage others to stop perpetuating them, and then to actually start spending some more time getting to know Buddhist Asian Americans for who we really are. This is precisely what I set out to do through my master’s thesis research: get to know some young adult Asian American Buddhists. Since I wasn’t finding many young adult Asian American Buddhists in temples or meditation centers, I put out a call for participants online and by word of mouth. Several people expressed interest but worried they might not fit the parameters of the project. Do I qualify as a young adult if I’m in my early 30s? I’m not very devout; can I still participate? A lot of times the media limits “Asian American” to East and Southeast Asians—can I participate in your project as a South Asian? In their uncertainty, I heard echoes of bell hooks’ insecurity about not counting as an “authentic” Buddhist. 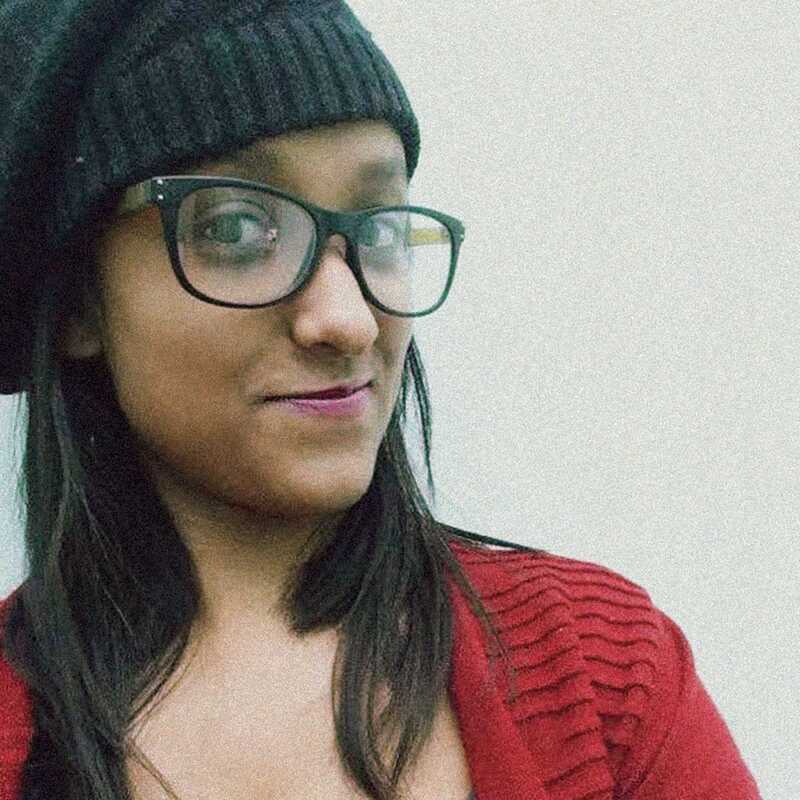 I was astounded by the diversity of the twenty-six young adults I interviewed. They traced their heritages to East, Southeast, South, and even Central and West Asia, and were connected to a wide range of Buddhist traditions and groups. Wanting to explore a range of possible meanings for the category “young adult Asian American Buddhist,” I deliberately used wide parameters, inviting anyone between the ages of eighteen to thirty-nine who was of full or partial Asian heritage and living in America, and also engaged in Buddhist practice, broadly defined, to participate in an in-person interview. The interviews covered a multitude of topics, including participants’ Buddhist practices, communities, and beliefs; perceptions of Buddhism in America; and opinions about the representation of Asian American Buddhists. Despite being part of what has been dubbed “the least religious generation,” the millennials (and a few young-at-heart Gen Xers) I talked to had plenty to say. Our conversations ranged from ninety minutes to more than five hours. Many told me it was the first time they had reflected so extensively on their Buddhist journeys. 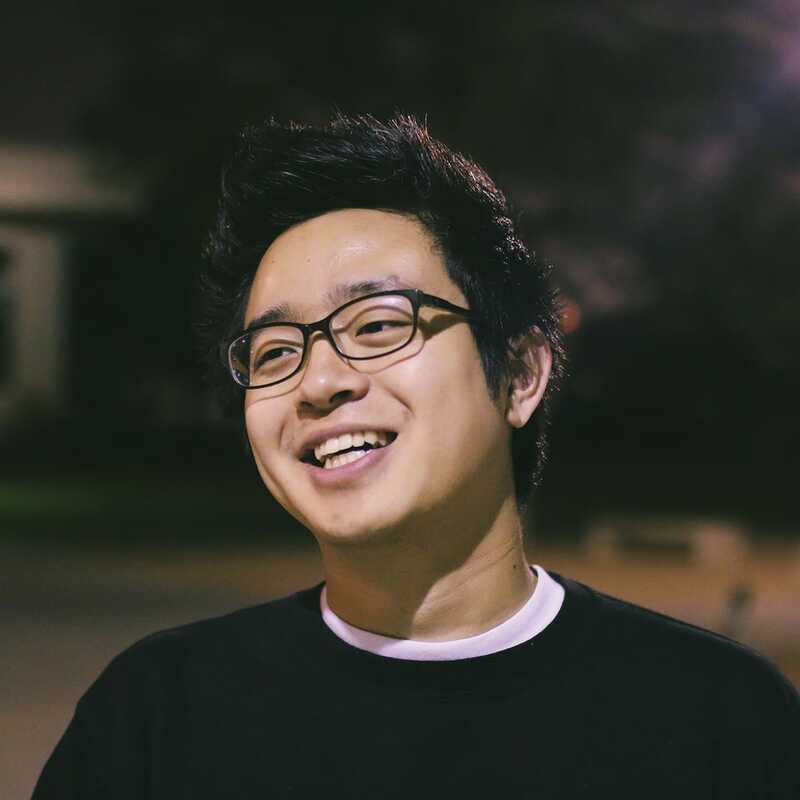 “Even if you just research within Asian American Buddhists, there’s huge diversity,” Anthuan, a Vietnamese American studying Buddhist chaplaincy, remarked during his interview. (Both real names and pseudonyms have been used in this article, according to each interviewee’s preference.) Indeed, I was astounded by the diversity of the twenty-six young adults I interviewed. They traced their heritages to East, Southeast, South, and even Central and West Asia. They were connected to a wide range of Buddhist traditions and groups: Burmese, Cambodian, Chinese Chan, Jodo Shinshu, Korean Zen, Laotian, nondenominational Mahayana, Shambhala, Soka Gakkai, Soto Zen, Thich Nhat Hanh, Tibetan, Tzu Chi, Vietnamese, Vipassana, and more. Though “two Buddhisms” would suggest otherwise, I could not simply assume that my interviewees went to temples with people who shared their same ethnic background. Knowing only Daniel’s ethnic identity (Chinese/Ashkenazi), we would be hard-pressed to describe his Buddhist community—more precisely, communities in the plural (Theravada and Mahayana groups in California, France, and Southeast Asia). Several of the young adults I spoke to were exploring forms of Buddhism different from those they had been raised in. Brian, for example, grew up as a Laotian Buddhist but now attends a Korean Buddhist temple. Others were raised nonreligious, Hindu, Christian, or with mixed traditions (Yima identified both Zoroastrian and new-age spiritual influences from his parents). Even those who saw their cultural heritage and Buddhist identity as closely connected—the Japanese American Jodo Shinshu Buddhists I spoke to, for example—had typically visited other Buddhist communities. “While I wholeheartedly believe that Buddhism, as with all other forms of religion and philosophy, is something that everyone can be engaged in, on another level, I feel that acknowledging cultural roots is a critical part of that experience. I am mostly interested in simply hearing the stories of other Asian American Buddhists. Because I grew up in a community of predominantly Sri Lankan, Sinhalese Buddhists, I have rarely encountered Buddhists of other Asian American backgrounds. -Dedunu, the site director for community school initiative and a member of Staten Island Buddhist Vihara, from Staten Island, New York. Through an interactive card-sorting activity, the young adult Asian Americans I interviewed revealed their familiarity with a wide range of Buddhist practices: attending ceremonies, bowing, chanting, meditation, offering donations, volunteering at a temple, and many more. The “two Buddhisms” model’s description of Asian Americans “going to the temple, making offerings, and not meditating” fails to capture the complexity of these young adults’ Buddhist practices. Indeed, all twenty-six interviewees had meditated before, though its salience to their Buddhist lives varied from “most important practice” to “on par with other practices” to “not at all important” (for Ratema, a Cambodian Buddhist, “meditation is different from the Buddhism I practice or my family practices”). Clearly, these young adults are not hewing to the “two Buddhisms” typology’s standard for Asian American Buddhists. What about matters of belief? I asked for responses to eighteen different statements about Buddhism and again heard a wide range of opinions. My interviewees debated whether meditation was necessary to achieve enlightenment and proposed different interpretations of rebirth. 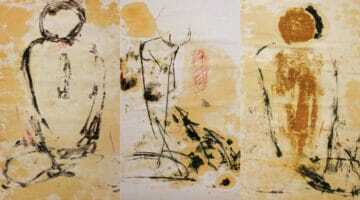 They questioned the absence of an eternal self/soul and whether Buddhas and bodhisattvas respond to prayers. Ironically, the closest thing to an orthodoxic standard was the absence of a single standard, as seen by strong opposition to the statement “I should convert other people to Buddhism.” The young adult Asian Americans I spoke to are both evidence and upholders of American Buddhism’s multivocality. This multivocality came as a huge relief to me. With my confusing mess of identities—1.5-generation immigrant daughter of upwardly mobile Shanghainese parents; fluent English speaker and far less fluent Mandarin learner; Chinese American interested in a spectrum of Asian and Buddhist cultures; “convert” Buddhist (it was more a gradual immersion than sudden conversion) with strong atheist roots; (post-? )modern Westerner who prefers bowing and chanting to vipassana retreats and zazen, yet sometimes feels more at home in nature than any dharma center—I never seemed to meet the criteria for either of the “two Buddhisms” categories. The greatest gift my fellow young adult Asian American Buddhists have given me is the permission to stop straitjacketing myself into either category. “What are the best-known types of Buddhism or Buddhist organizations in America?” I asked this question at the East Bay Meditation Center to fellow participants of the Buddhist Peace Fellowship (BPF) 2014 Summer Gathering. Of the thirty-two people who came to my workshop about Asian American Buddhists, more than a dozen identified as Asian American and/or people of color. 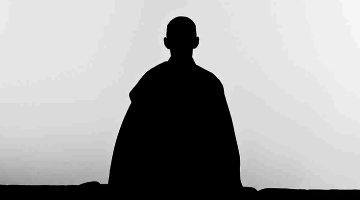 After twenty-six in-person interviews, an additional round of sixty-two email interviews, and countless informal conversations with and about Asian American Buddhists, I was beginning to expect a common set of responses: Zen, Tibetan, Theravada/vipassana/mindfulness. No one mentioned Jodo Shinshu (Shin) Buddhism, one of the earliest forms of Buddhism in America. From the time Shin Buddhism put down institutional roots on the West Coast in the late 1800s, it began to confront the challenges of adapting to a Christian-dominated society. By 1910, the Buddhist Mission of North America (BMNA) had switched from a lunar calendar system to weekly Sunday services. In a Japanese internment camp in 1944, the BMNA was renamed the Buddhist Churches of America (BCA). Duncan Williams argues the “camp dharma” of interned Japanese Americans “had the paradoxical task during the war of simultaneously serving as a repository for Japanese cultural traditions and as a vehicle for becoming more American.” Michael Masatsugu’s research demonstrates that the boundaries between Japanese American and white convert Buddhists were remarkably fluid during the 1950s and 1960s; for instance, the BCA’s Berkeley Bussei published Jack Kerouac’s first poems in the 1950s. This history is largely erased from popular conceptions of American Buddhism, showing how, for more than a century, Japanese American Buddhists have had to navigate their “perpetual foreigner” status as a group marginalized by both race and religion. The Shin Buddhists I interviewed also acknowledged their tradition’s invisibility to the Buddhist mainstream. During an interview with Kristie, a Shin Buddhist minister, I asked whether she thought of Zen as a Japanese tradition. She paused before exclaiming: “I don’t! I don’t think of Japanese Americans in Zen; I think of Caucasians.” Pointing to a photo collage from a blog post entitled “Why Is the Under 35 Project So White?,” Kristie explained, “When I think of Zen Buddhists, I think of the people pictured here.” The collage of twenty faces was created by the Angry Asian Buddhist to critique the lack of Asian American writers featured in a Shambhala SunSpace project aimed at promoting a new generation of Buddhist voices. Kristie’s comments corroborate a trend that Jane Iwamura has called “Asian religions without Asians.” Examining the role of the Oriental monk in popular culture in her book Virtual Orientalism, Iwamura argues that Asian Americans are only allowed a minor role in narratives about the development of Buddhism in America. She highlights how California-born Japanese American Mihoko Okamura, D.T. Suzuki’s secretary from 1953 until his death in 1965, is relegated to the margins by virtue of her race and gender. Okamura “does not conform to the racial script,” throwing off a writer for the New Yorker who seems to have a hard time reconciling her “almond eyes and porcelain complexion” with her being “an American girl with ideas of her own.” Sadly, more than half a century later, “two Buddhisms” would still have us puzzling over Okamura, an Asian American for whom fluent English and a sharp mind need not be at odds with dedicated assistance and devoted discipleship. “What about famous Asian American Buddhists?” An embarrassed silence ensued, in stark contrast to the flurry of answers a moment ago. I recalled how Brian had responded to this question during our interview: “The only ones I can think of are in Asia or dead.” The group finally named EBMC teachers Larry Yang and Anushka Fernandopulle. Someone mentioned Tiger Woods. 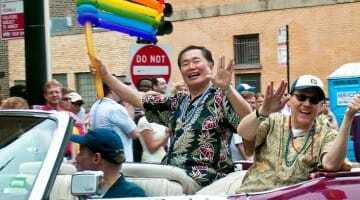 I added George Takei, better known for his role in Star Trek than for being a Shin Buddhist. -Andy Su, a community organizer for LGBTQ advocacy, from Los Angeles, California. At the end of the workshop, Lisa, who was raised with Chinese Buddhist influences, told me she didn’t know whether to laugh or cry. 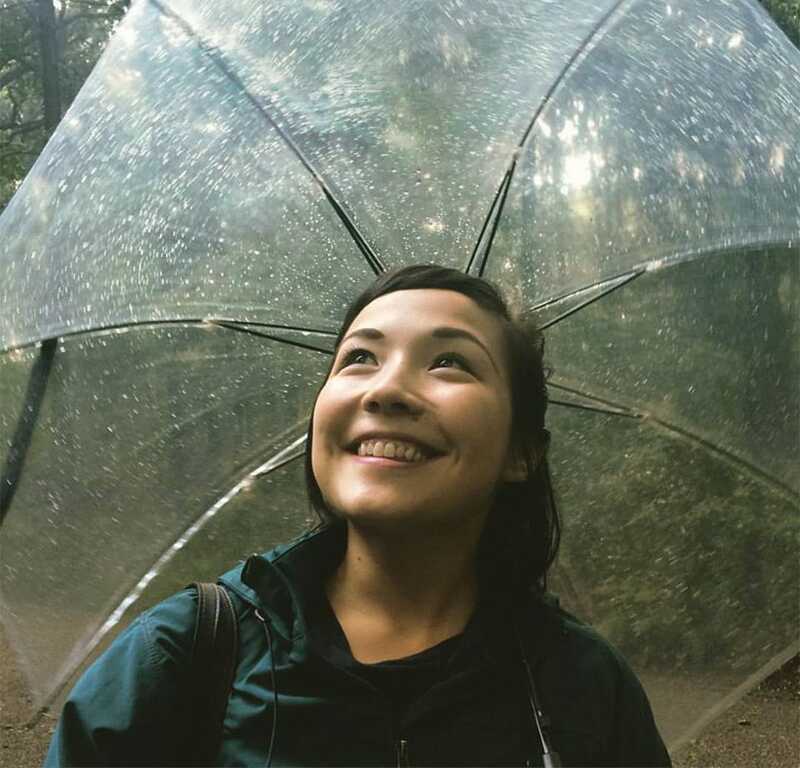 She wanted to laugh because she was happy and relieved to find her experiences and struggles shared by other Asian American Buddhists; she wanted to cry because she was saddened and angered by the rampant media misrepresentations of them. “It’s like we’re invisible not only to the mainstream but also to each other,” she sighed, shaking her head. A bodhisattva is an ally! A bodhisattva is someone who forsakes her enlightenment for those who cannot yet attain it. An ally recognizes and forsakes his privilege for those who do not yet share it. Prebish could be an ally: he’s starting to ask the right questions. It’s his responsibility to take that white space, that space where white people get to talk about Buddhism, and turn it into an ally space. Don’t question why Asian American Buddhists are invisible. They are invisible because you’re not looking for them! The invisibility of Asian American Buddhists is compounded by the challenge of coherently defining such a diverse group. As I discovered when recruiting interviewees, there are multiple competing definitions of “Asian American,” “Buddhist,” and “young adult.” Not surprisingly, combining the three creates a complicated category. Yet the very ambiguity of the identity label is also a source of creative power. Even if they aren’t a trending topic on social media, Asian American Buddhists are everywhere. 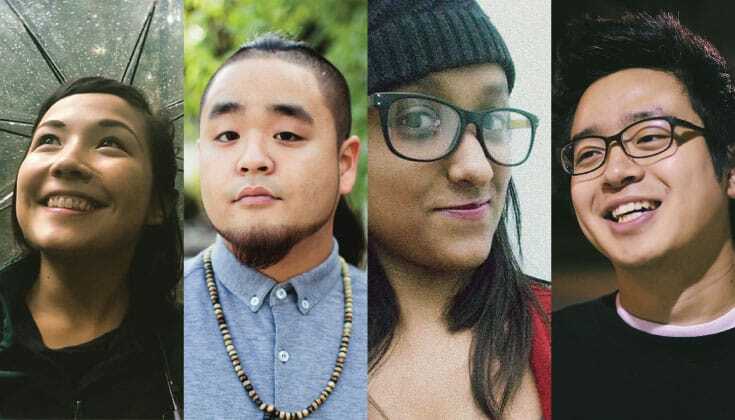 I think young Asian American Buddhists I know, including myself, face challenges in integrating and expressing multiple cultural identities—as young, American, Buddhist, and Asian. Yet I think we are all moving toward a more pluralistic world in which multiplicity of identity will be the norm. As a Buddhist, I know that the self is always inconstant and interdependent, so in a way my Buddhist practices help me be at peace in the midst of the tensions in multiplicity and diversity. As a group, we do a lot of “bridging.” We bridge our Asian roots with our Western values; respect for traditional culture and family with American independence; etc. What interests me most is how the dharma can help alleviate the feeling of being lost and directionless-ness that characterizes much of the young adult experience these days, especially for Asian Americans. Part of the reason, I believe, is because we are trying to “bridge” a lot—and so we find it hard to really identify who we really are. The act of bridging—“constantly straddling cultural and spiritual worlds,” as one interviewee put it—is possible for Buddhists of all races and ethnicities. As culturally engaged Buddhists, we must contemplate the histories and intersections of the cultural and religious traditions we have inherited/adopted. If we are to weave different narratives about American Buddhism, we must also critically examine the racism and Orientalism that shape our perceptions of Asian American Buddhists. The young adults I interviewed recognize the harm in erasing Asian American Buddhists from representations of Buddhism in America. Whether Buddhism is the religion of their family of origin, a religion they have sought out for themselves, or both, they recognize that Asian American Buddhists are not solely responsible for their invisibility. Remedying misrepresentations of American Buddhism must be a collective effort, one that includes Asian Americans and others who have been largely absent from mainstream portrayals of American Buddhism, as well as white allies who are willing to cede control of the Buddhist mediascape in which their voices currently prevail. Chenxing Han is a writer whose work has appeared in the Journal of Global Buddhism, Pacific World, Buddhadharma, and elsewhere. She holds a BA from Stanford University and an MA from the Graduate Theological Union and the Institute of Buddhist Studies in Berkeley, California.